In 1992, as pressure from international conservation groups to protect the great forests of Uganda mounted, the indigenous Batwa tribe was forcefully removed from their ancestral home by the Ugandan government. One of the most ecologically diverse places on earth, the Bwindi impenetrable forest nurtured the Batwa, and in turn the tribe worshiped all that it gave them. Upon eviction, however, the Batwa received nothing in the way of compensation or support, and so fell into poverty. 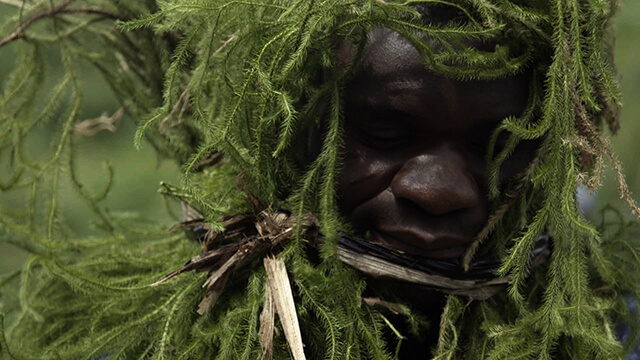 Nearly 25 years later, a young Batwa named Gad Semejeri is doing everything he can to preserve his culture in the face of social oppression and substance abuse. Along with a group of young Batwa, he founded the Batwa Music Club, a band that strives to reclaim its cultural heritage by performing traditional songs that speak out against the injustices the the tribe has suffered. With Gad’s leadership, the group is rehearsing for its biggest gig to date, a concert in Kampala where they will take centre stage and make the plight of the Batwa known to the whole of Uganda. Threading together rapturous tales of traditional life from Batwa elders, stories of the Batwa Music Club’s daily struggle for survival, and original songs performed by the group, Ipalaki is a vibrant testament to the importance of indigenous knowledge in the globalized world. A film by Loud Roar Productions.